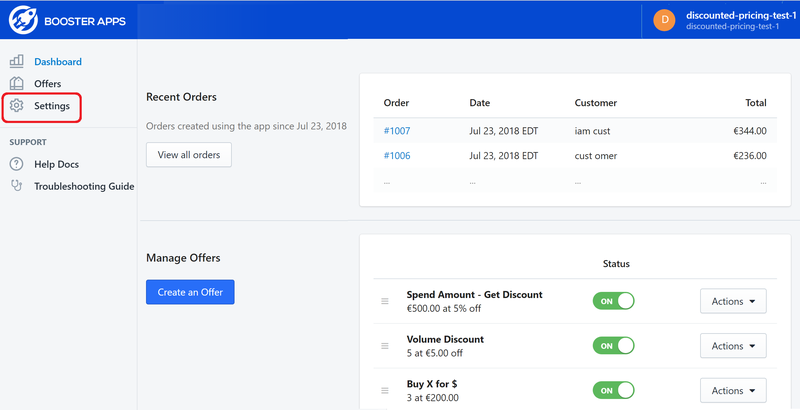 If you have added discount codes so your customers can use them in conjunction with other discounts, you will need to sync the codes for them to work. By default, the discount codes are automatically synced after installing the app and then check for new discount codes every 12 hours to sync them. Step1. Launch your Discounted Pricing app and click Settings. Step2. Under the General Settings section, click the Sync Discounts button. A popup message confirming that the discounts are now synced and the button is now changed to Queued! NOTE: Our app does not support the "free shipping" Shopify code or any discount codes created by third-party apps. If this does not resolve your issue and you need more help, please click Contact Us below!